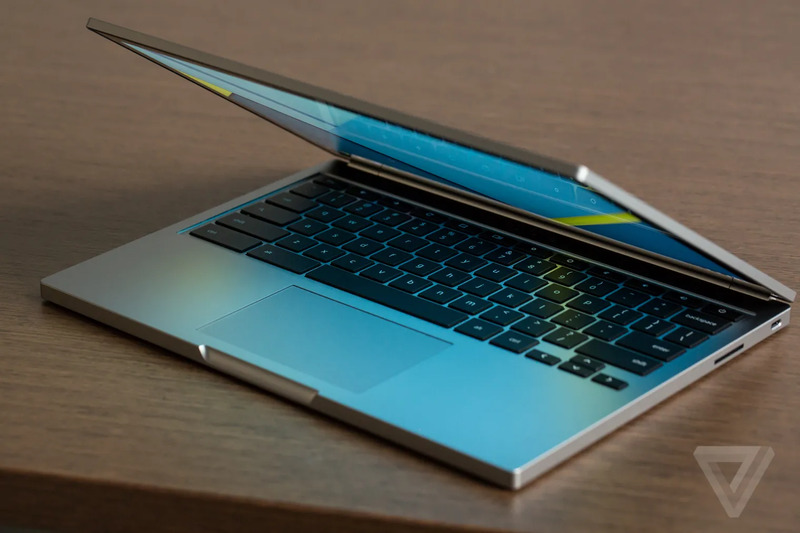 This piece explains the logic behind getting certain relatives a Chromebook so as to relieve you of being tech support: I bought my mom a Chromebook Pixel and everything is so much better now – The Verge. Now your mom may be tech savvy and not need a Chromebook (my mom was). But for some people’s moms or dads or children, it can be a very good solution. Especially for people who don’t travel much with their computer and who have a stable IT environment (e.g. the networking set up doesn’t change, the printer is good). Chromebooks may not seem good value. You might compare what you get from a Chromebooks vs a Windows laptop and think: I get more from the Windows laptop. If you are good with computers, that true. But that’s not how to look at it. Factor in the cost of the relative’s computer plus the time you spend solving problems with it. When you factor that in, the benefit of the Chromebook jumps out. Posted on July 10, 2018 in advice, IT, new! A Docker Tutorial for Beginners – More Docker 101. Minecraft and Bluemix, Part 1: Running Minecraft servers within Docker – fun! The 5 Most Infamous Software Bugs in History – OpenMind – also fun! Is AI Riding a One-Trick Pony? – MIT Technology Review – I believe it is and if AI proponents are not smart they will run into another AI winter. I built a serverless Telegram bot over the weekend. Here’s what I learned. – Bot developers might like this. Superbook, a $99 computer project on Kickstarter, is impressive in itself. Based on the sponsorship of this project, many agree with me. Essentially it extends your phone like a Smart Watch does, but instead of the form factor diminishing, it’s increasing. In some ways, it does what the Chromebooks do, but with the use of your phone. If it works well, it is one more nail in the coffin of the personal computer. Already tablets and other devices have distributed computing away from the personal computer. I can only see this trend increasing as displays and memory and CPUs get better. Sooner than later, the attachment of the display to the keyboard will dissolve, and people will assemble “personal computers” from a variety of tablets and other displays, keyboards, and whatever smart phones they have. The next step is better designed and detachable keyboards, along with more powerful phones. (The phone isn’t a phone anyway: it’s a handheld computer with built in telephony capability). Networks are going become more pervasive, faster and cheaper. Displays are going to become cheaper. Phone makers are going to need to give you more reasons to buy phones. All of these things point to computing devices like this becoming more prevalent and personal computers getting further and further displaced. You can find out more about the project, here here. As digital technology gets more and more compact, expect to start seeing it combined with new and unexpected things. Wearables will not just be watches and sports-bands, but clothing and jewellery. For example: Meet Ear-o-Smart The World’s First Smart Earring. Anything you wear, anything you touch, anything you own: all of it will soon have sensors and digital technology in it to talk to your computer and your phone. This is just starting. See Early Digital Research CP/M Source Code | Computer History Museum. Do you find it weird when you search for something, then go to other sites, and it seems like the product is following you around? Do you worry that sites are tracking information about you and you want to stop it? I’d like to say there is an easy way to put an end to such tracking, but it doesn’t seem to be so. If anything, companies like Facebook, Google and others have a big financial interest in tracking you, regardless of what you think, and they are going to make it hard for you to put an end to it all. That said, if you still want to take action, I recommend these links. They highlight tools you can use and steps you can take to limit tracking. You don’t have to be technical to read them, but you have to be comfortable making changes to your system. How to prevent Google from tracking you – CNET – this may be the best article that I read. Mostly focused on Google. There are useful links to tools in here and plugins you can use, like Disconnect and Ghostery. Somewhat technical. Facebook Is Tracking Your Every Move on the Web; Here’s How to Stop It – This Lifehacker article has more on how to deal with Facebook tracking you than Google, but it is also good. How to Stop Google, Facebook and Twitter From Tracking You – this piece from ReadWrite talks mostly about the Disconnect tool, but it does it in conjunction with discussion of some other tools. Seems less technical than the first two, if you found the first two links too hard to follow. How to Stop Google From Tracking You on the Web on NDTV Gadgets has tips that are more manual in nature, if you don’t want to download tools. Also some good information on how to deal with mobile phone tracking. Delete searches & browsing activity – Accounts Help via Google comes straight from the source of the tracking. Consider using two browsers: one for your Google use (e.g. Chrome) and one for other uses (e.g. Firefox or Safari). The non-Google browser you can lock down with blockers and other tools, while the Google oriented browser could be limited to just what you need to integrate with Google. If you are really concerned, avoid Google altogether and use other search engines, like DuckDuckGo, and other email services, such as Outlook.com. There can still be tracking, but in theory this should make it harder. If you use any of tools, get into a habit of using them and keeping them up to date. Don’t forget to do the same thing on your mobile devices. Facebook can track your activity on your mobile phone, regardless of what you may be doing on the web. You can be tracked via apps just as easily as you can be tracked from your browser. Is there no limit to how small computers can get? You can find out more about that computer here: Inverse Path – USB armory. I believe that soon everything you buy will come with computing built into it, by defaul. When this occurs,people may find it weird to think about non-digital devices, just like younger people might find it weird to see people working from previous generations doing work and not using computers.